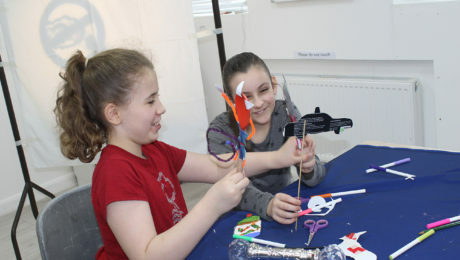 In this session, the group were introduced to the idea of creating miniature worlds and using magazines wrapping paper and other materials to create collages exploring our idea. 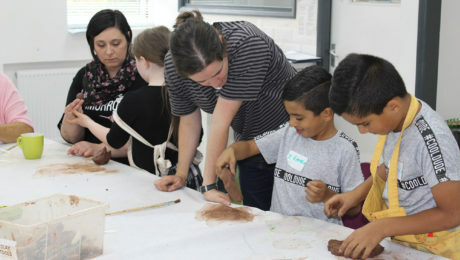 Then, using clay, we began to create some creatures that might populate our imaginary worlds. Innocence & Expression was great on Saturday! 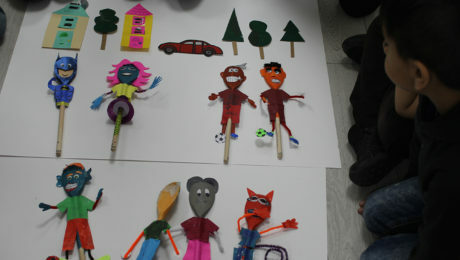 The class had a great time designing, creating and then decorating their own puppets from wooden spoons! The first session of 2017 was great! The children got hands on with creating their 2D shadow puppets. 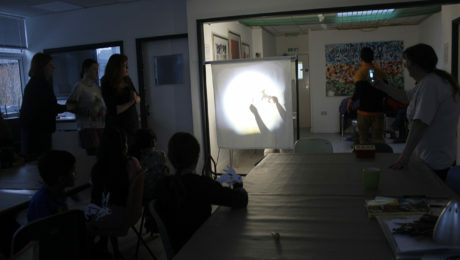 They had a fun time cutting the 2d animals out and seeing how they appeared when light was projected onto them! 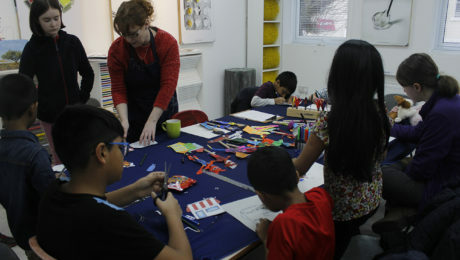 A BBC Children in Need funded programme especially designed for young people Upto 18 years old.In this free programme participants learn to work in various artistic mediums such as painting, clay modelling, sandcasting, making mosaics and more. It was the last Innocence and Expression of 2016! The children loved getting stuck in working together to finish the mosaic mural! In this week’s Innocence and Expression, participants were encouraged to work in groups to experiment with mixing colours using acrylic paints. After that, they then explored the wonders of nature by drawing things that you would normally find in the garden on a large piece of paper. 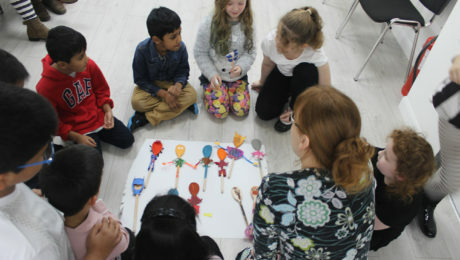 In the first session of the second programme, the children were encouraged to explore the different types of colours, creatures and objects found in a garden. They then took it to paper to design their perfect garden using different art mediums such as crayons, felt tips and collage materials. On the last week of NCS, participants added their finished works to the final mural. 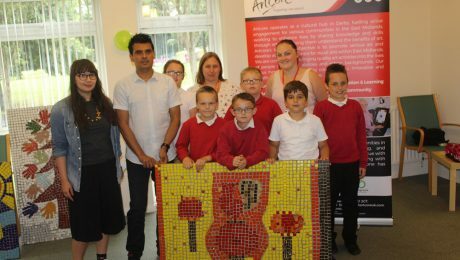 Some working together, they managed to complete the mural with a total of 250 tiles!